Unique Moments Photography captured this image in Minnesota 6 yrs ago. The bride just finished getting ready and her father asked if it was ok to step inside to see her for a moment. This was her reaction to seeing her father. 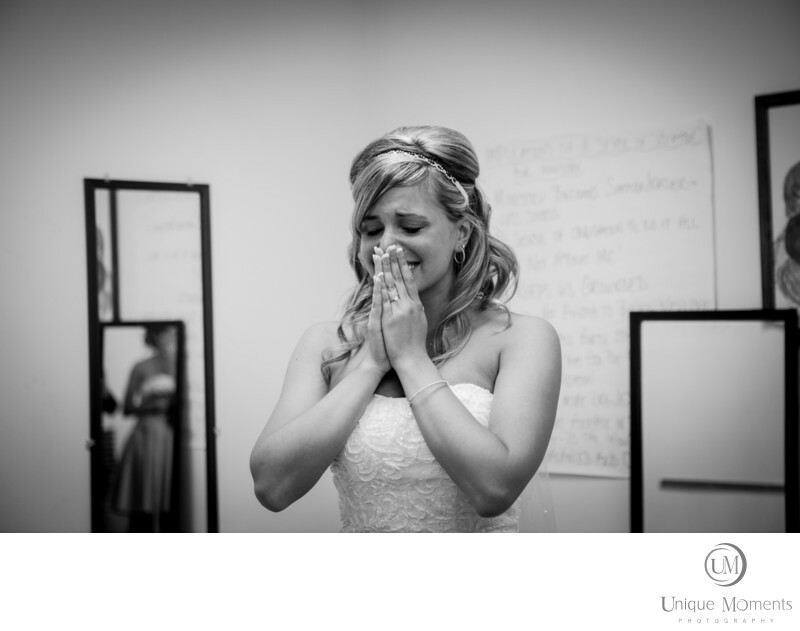 Images like this are why we love to capture weddings. You never know when it is going to happen and you have to keep a keen eye open. But Human emotion is the most powerful image a photographer can create and it was truly an honor to capture this families wedding.